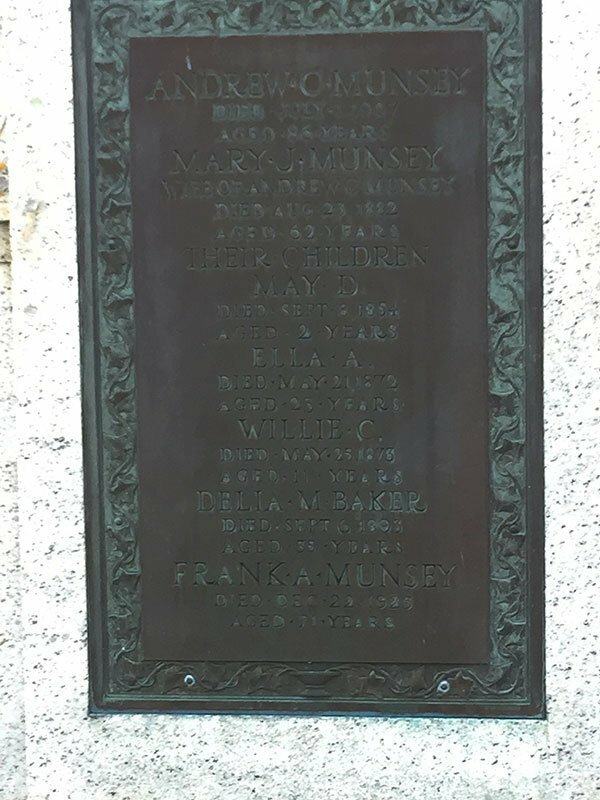 For many years I’ve known that Frank A. Munsey hailed from Maine. The father of the pulp magazine, he certainly has to be the most successful person in the long history of the state. Whilst making my occasional drives up to central Maine, this fact usually came to mind as I passed through the Augusta area, which is where he grew up. Each time, I said to myself, “I should do some research to see if he’s buried in Maine.” However, this thought never seemed to pop up when I was in front of a computer. A few weeks ago, on a pulp-related Yahoo Group, David Lee Smith posted a vintage article on Munsey’s estate and how it was to be dispersed. It mentioned he was buried in Lisbon, Maine, not too far from his alma mater, Bowdoin College. 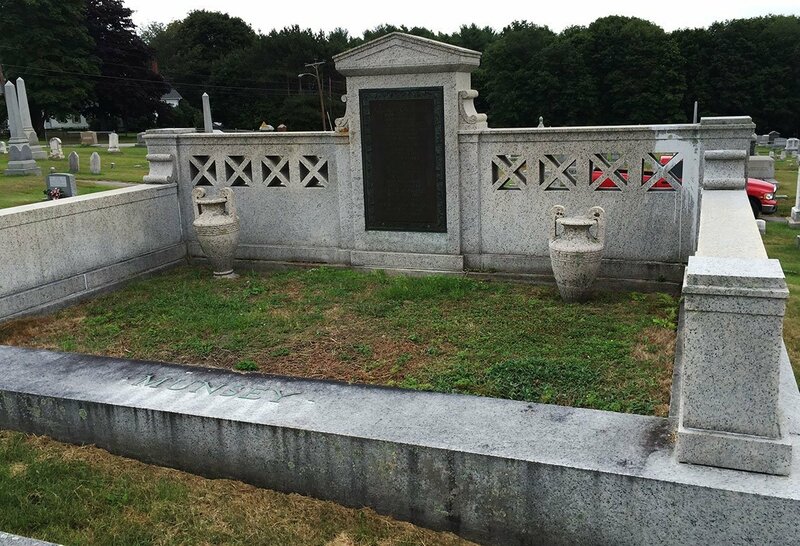 With a bit more research, I discovered he was actually buried in Lisbon Falls, Maine (the home of Moxie, the best soft drink ever made) in Hillside Cemetery. Just five miles off the highway, I figured my next trip up to central Maine would be the perfect opportunity to visit it. This past week was that next trip. On the way back, this past Sunday, I made the detour to Lisbon Falls to see the plot that that article mentioned Munsey had set aside $25k for. 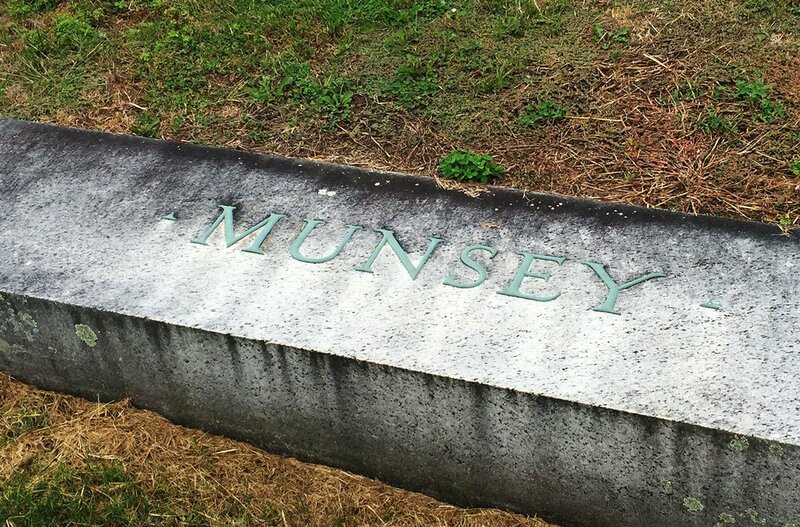 Hillcrest Cemetery turned to out to be an old New England graveyard, and—unsurprisingly—the Munsey family grave was the largest one there. Below I’ve posted a few photos of the grave. It’s interesting to think that I’ve passed the road to the Munsey grave hundreds of times in my life, never knowing it was so close. Oh, one last thing: here’s an interesting article which I ran across while looking for his gravesite. It’s from The Lewiston Evening Journal from December 14, 1963. It contains a photo of the grave and—more interestingly—some first-hand accounts of Munsey from Frank W. Lovering, a reporter who knew him. Here’s the link: Frank A. Munsey, Buried in Lisbon Falls, Controversial Publisher.